Balloon Shooting is one most popular games that always lets you persuade yourself for "just one more try." 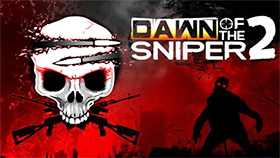 The players find this game amusing and attractive as it is the combination of shooter, strategy and action game. In this game, you need shoot balloons of different colors flying in the air, using a gun. There are different levels, each level requires you to shoot at least 40 balloons to be completed. If you missed 20 balloons in the level you are playing, the game will be over. But it is not easy as it sounds. The higher level you are at, the faster the balloons float up into the sky. Sometimes you can meet blast multiple balloons at a time, which may make you confused and miss shooting the balloons. You can use the mouse to shoot balloons and the space bar or reload button to reload the bullets. Balloons have different colours. Each color will have its own points, such as the yellow balloons for 20 points, the red one for 25 points and the blue one for 30 points. So try to gain as many points as possible. Don’t forget to reload the bullets quickly to save your time. If you cannot reload the bullets, you cannot shoot and will skip the balloons. This is an addictive, and sometimes frustrating game that is suitable for everyone. You can play this game online on the website. Also, now you can get this game on android, for free here. So, take your time and have fun with this game!